EasyTether shares Internet connection from your smartphone with your computer or tablet. Tethering allows sharing the Internet connection of the phone with other devices such as laptops or Computer. 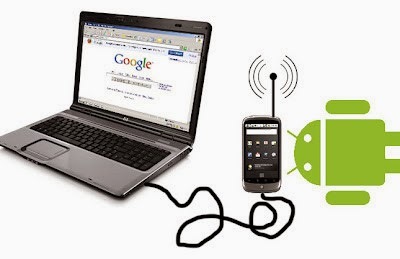 Connect your Android Phone Via USB to your Computer and your Android Mobile will act like a Modem.